Burton vs Blackpool predictions for Saturday’s League One fixture at Pirelli Stadium. The hosts will be hoping to bounce back after tasting defeat on the road on Tuesday evening. Continue reading below for all our free tips and predictions. When they emerged victorious at Ricoh Arena last Friday, Burton would’ve been hoping to go on something of a winning run, though their fortunes changed for the worse on Tuesday night, as they lost away against Charlton. There’s not too much riding on the last nine games for the Brewers; it would be a surprise if they were to be dragged into the relegation battle, but they’ve also got little chance of making the play-offs. However, despite not having much to play for, boss Nigel Clough won’t want to see his side to simply cruise through games. 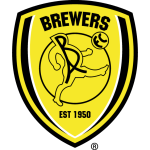 Burton did lose against Charlton on Tuesday evening, though that defeat shouldn’t cloud the fact that the Brewers have done well of late. Prior to Tuesday’s game, they played very well to defeat Coventry on the road, clocking an impressive 2.35 expected goals for in the process, while they’d bettered their opponents in terms of expected goals in three games straight. As far as their efforts at Pirelli Stadium are concerned, Burton haven’t excelled of late, but they’re not easy to beat, or rather they’ve not given an awful lot away at the back. Last time out on home soil, Clough’s men drew 0-0 against Walsall. They were poor going forward, but at the back they were solid as they surrendered just 0.75 expected goals. Prior to that they gave up just 0.49 against Fleetwood. Add in the fact that Burton have conceded an average of just 0.94 goals at home this season and it’s easy to conclude that they’re decent at keeping teams quiet. Blackpoll haven’t exactly shone on the road from an attacking point of view, though their most recent away-day attacking efforts is encouraging. 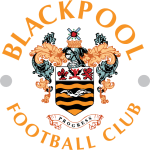 In their last away match, the Seasiders scored twice in victory against Accrington, posting a pleasing 1.92 expected goals for. However, it must be said that they took advantage of some poor defending, while their overall efforts suggest that they’ve not been great going forward on the road this season. Terry McPhillips’ men are averaging just 0.83 goals away from home this season. Their average of 1.26 expected goals for suggests that they’ve been unlucky not to score a few more, but it also tells us that they’ve not been great in terms of creativity. Given that neither side has been overly great in terms of attacking productivity this season, it’s easy to lean towards supporting a low-scoring game, though at the prices, it may just pay to take the opposite view. With the betting the way it is at present, both ‘Over 2.5 Goals’ and ‘Both Teams to Score’ stand out as bets that represent value. For all Blackpool haven’t excelled at scoring goals on the road, their recent underlying numbers suggest that goals (at both ends) are more likely to arrive at Pirelli Stadium on Saturday than the current prices suggest. The Seasiders posted 1.83 expected goals for away against Bristol Rovers recently, while they clocked 1.92 away against Accrington last time out. In addition, Burton have also posted some encouraging attacking numbers at home at times this season. They clocked 1.51 expected goals for against Bradford, 2.65 against Gillingham, 2.4 against Wycombe and 1.95 against Charlton, so they too can produce offensively. All in all, despite some of their results suggesting that the goals will stay away on Saturday, plenty of Burton and Blackpool’s performances make it easy to feel that a relatively high-scoring game is more likely than the current prices would have us believe. Both teams have scored in 56% of Burton’s home matches in League One this season. Between them, Burton and Blackpool are averaging 2.81 expected goals for during the current campaign. Blackpool and Burton have conceded at least once in eight of their last ten combined matches.